If you participate in third-party reimbursement activities and accept assignment of benefits, your best indicator of whether you are being paid what you deserve is the Explanation of Benefits (EOB) that accompanies payment. This important document shares not only the adjudication of your claim for payment, but also gives important information about what may not have been paid. Posting payments from EOBs to your practice management software is a critical puzzle piece in the quest for maximum reimbursement. Carefully reviewing every detail, every allowable fee, and every potentially denied charge ensures that every penny due to the practice is collected. Some practices have a procedure that dictates that a second set of eyes reviews all EOBs and processed payments every day before filing EOBs away or scanning them. This is a great back-up procedure to make sure nothing gets missed. Don't let money slip through the cracks! 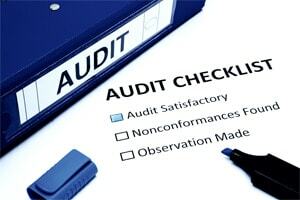 Business owners, doctors, office managers, and/or compliance officers should periodically audit EOBs for correct processing. When this essential process is not managed and measured carefully, precious dollars can slip through the cracks. For that reason, your compliance policy and procedures should include some kind of recurring processed EOB spot checks. Processed EOBs and other “zero payment” EOBs should be scanned and electronically filed by date, or physically filed with your end-of-day bundle. Easy access to these materials will make your audit review much easier. Set “Random EOB Review” monthly in your annual compliance calendar. It’s best to do this on the same day each month. On the appointed day, randomly select a handful of payments and EOBs from the prior month, or since the last time you reviewed them. Depending on the size of your practice and the number of EOBs processed in a day (not to mention that this process can be quick), you may want to randomly select several days’ worth of scanned EOBs or packets. Access your practice management program to compare the EOB to the processed payment in the patient’s account to confirm appropriate handling and processing. If any portion of the claim was paid incorrectly, has the claim been set aside for appeal or follow-up? If the denial was inappropriate, has the claim been set aside for appeal or follow-up? If the EOB had one or more services denied, was the denial appropriate? If so, was the write-off handled correctly? If there was a balance to be assigned to patient responsibility, was it completed correctly? Was the allowable amount paid appropriate and correct? If any findings from the EOB audit review require additional attention, such as mistakes were found, team members handled an EOB incorrectly, or made another error, proceed as you would with any other compliance matter. Conduct appropriate verbal or written correction, document the correction or training, and monitor the situation to be sure the unwanted action doesn’t continue. This is where we want every potential client or customer to start. Moving forward without an analysis of your practice and its performance is like proceeding with a treatment plan without an exam. Get clear on where you stand in all the key departments of your practice, from coding and documentation to Medicare, billing and collections, reimbursement, and patient finances.